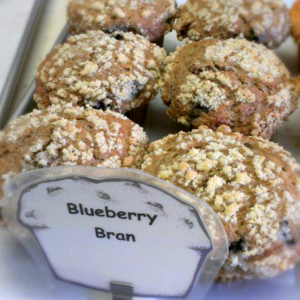 This our blueberry “brand” of bran. But seriously, this cultured muffin is the delight of any NPR radio personality and the equal favorite of their jazzed filled, hushed-voiced eased audience. So turn up the West-Coast Jazz, ease into some Bach, and nibble a little.